Silently eyeing the crostata off, I did briefly think of eating it all just there and then. No one else was home you see, they didn’t know I had made it. Still eyeing the tart off, I paused for just a moment longer… did they really need to know? 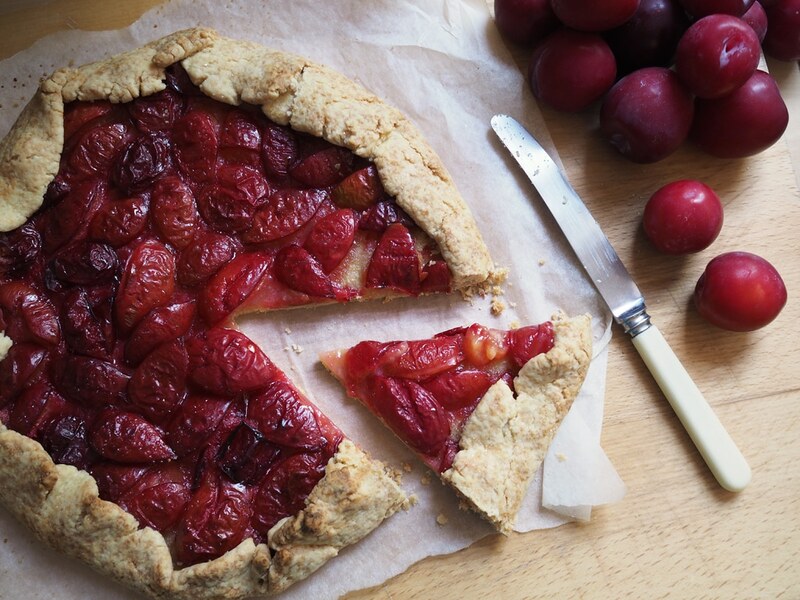 I gently poked the pastry edging a little, and lent in just a smidge closer to inhale the soft plum smell of summer. I quietly stepped back. Damn it. It seems I would wait. There was to be no solo plum laden crostata eating this afternoon after all. Type the word crostata in for a little internet search and you’ll find wonderful delicious pictures accompanying words like rustic and free form pie. Now I’ve already mentioned (in this post) that I’m a big fan of any sort of ‘rustic’ cooking, as it lends itself to an easier cooking style. Maximum taste. Less so on the fluffy fuss. A crostata is the perfect example of that. 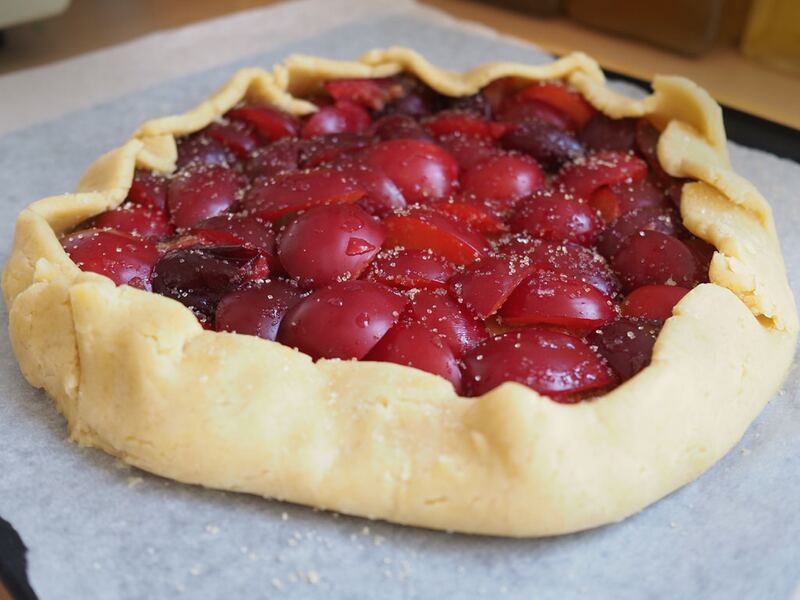 A crostata is free form open pie, that uses pretty much anything seasonal and what ever else you may have on hand. 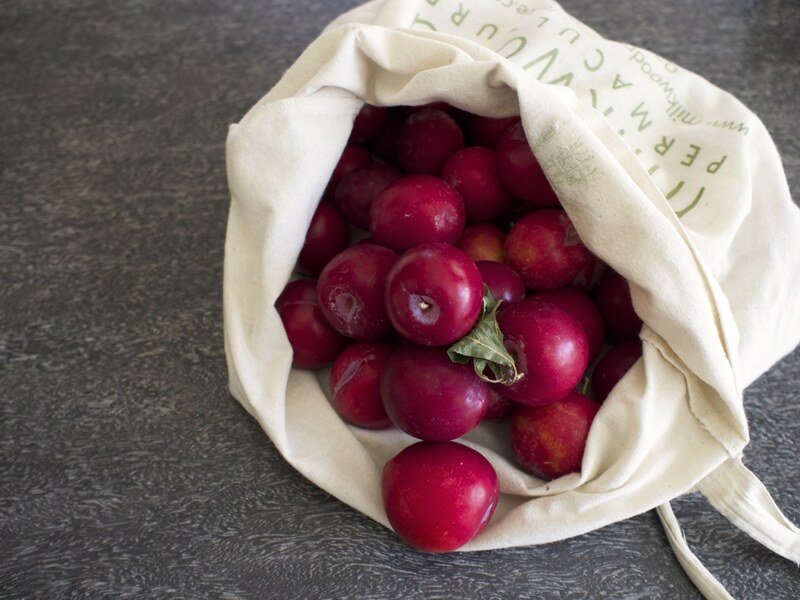 This time of year, stone fruit is looking and smelling pretty delicious. But really, just play around. 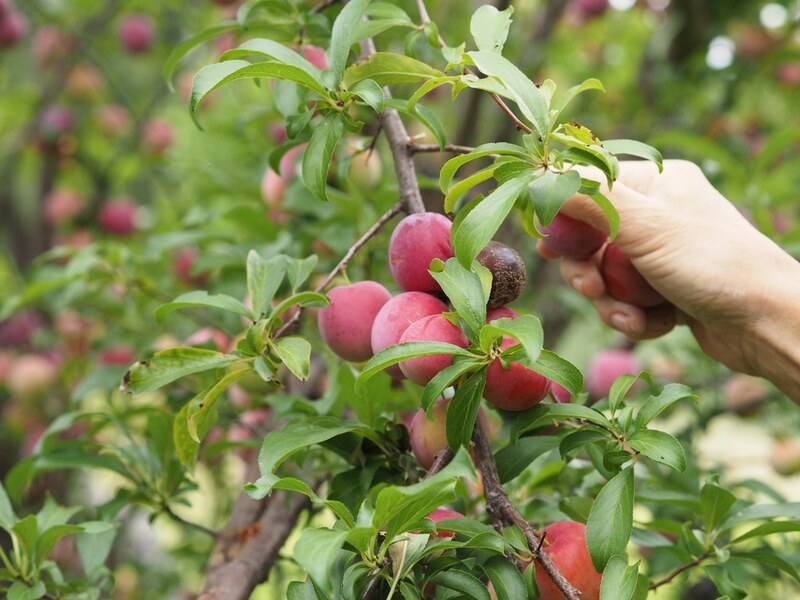 Apples, and pears can also be tasty, or in the leaner seasons when there really isn’t any fresh fruit to be had, use your seasonal jams. In a blender, pulse flour, sugar and butter until it resembles breadcrumbs. Tip out to a bowl and add vanilla, egg yolk and cold water. Knead lightly until it comes together to form a dough. In a cup, mix almond meal and raw sugar together and then sprinkle over the pastry base. Quarter your fruit, and take the seeds out. Laying the fruit on top of the sprinkled almond meal and sugar. You can do so in a decorative fashion, or splodge it all in the middle. It’s hard to go wrong here; if you are using jam instead, spoon that on – make sure you leave a gap around the pastry, so it can be folded inwards. 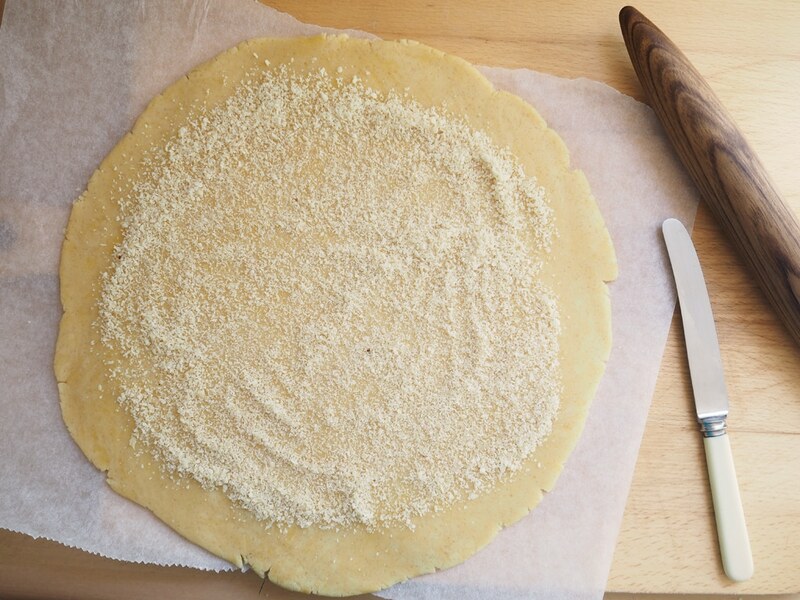 Gently roll the sides of the pastry in a little. If you like your desserts on the sweeter side, add a little extra sprinkling of raw sugar, and optional almond flakes for making pretty. Bake in a moderate oven of 180C until it is light golden in colour and smells delicious; approximately 45 minutes – but please check, as all ovens vary. And there you have it – possibly one of the best ways to put summer on the dessert table. Or the breakfast table. Or just the table, at whatever time of the day you make it, really. Do you make crostata? Got any tips or variations for us all to try? Comment below – we’d love to hear from you. 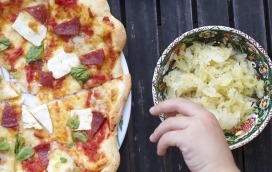 Your guest writer today is Brydie Piaf – home baker, maker, blogger, photographer and wrangler of small people. Thanks Brydie! Yummo. I always thought I was being fairly sneaky in stirring through sa . .
For anyone wanting to start natural cheesemaking at home, sourcin . . Perfectly timed post! 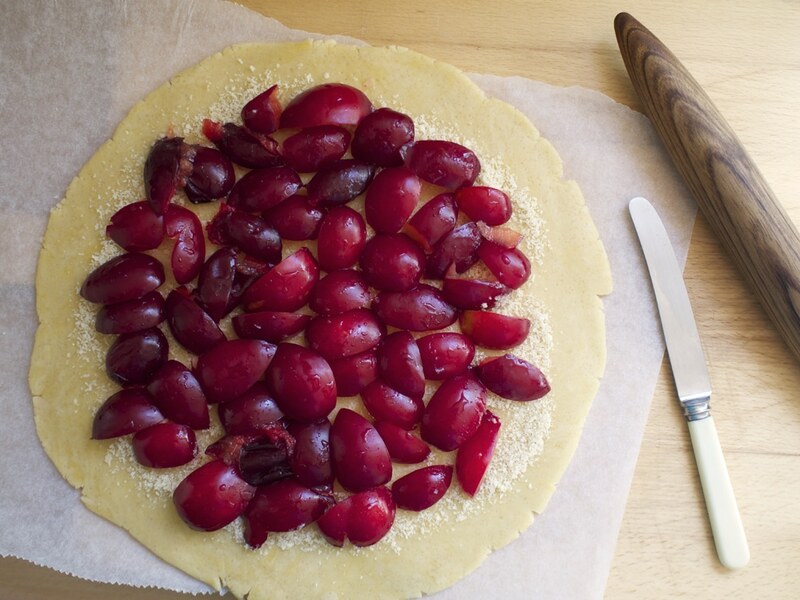 I have an excess of sugar plums I was contemplating a recipe for……crostata it is! I might substitute the plain flour for ground oats though, hope that works. Yum. Last month’s Delicious magazine had a wonderful goats cheese tart by Vali Little with chia seeds in the pastry. I made it last week. From now on, no pastry shall enter my oven without chia! Thank you so much for this recipe – looks so simple, but pretty, and the possibilities are endless. I love the idea of using whatever is in season.